That's the true color of both, btw. 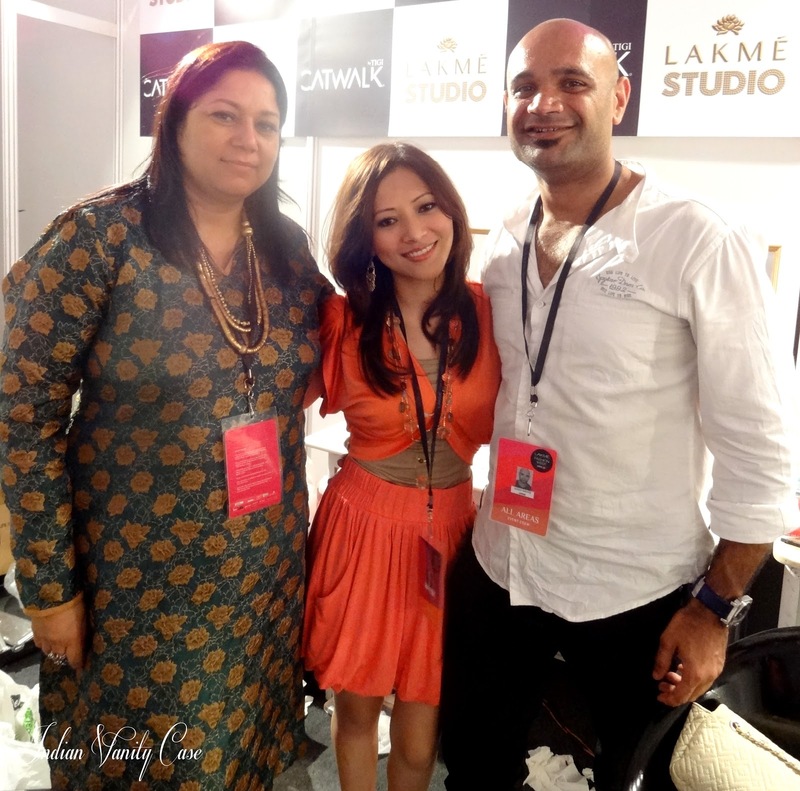 With Lakmé Studio make-up gals. So sweet & funny they all were! 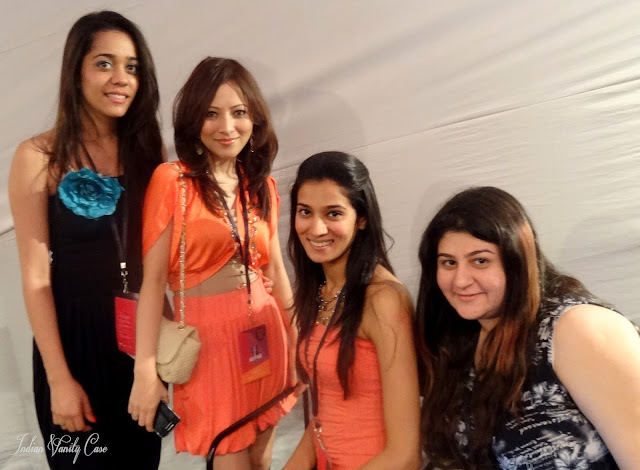 Pretty..loved how u combined the whole outfit..! You look great <3 Lovely outfit!!! The colour looks amazing on you! And the shrug is beautiful. omg this outfit is so cute!!!! you looking absolutely pretty!!! 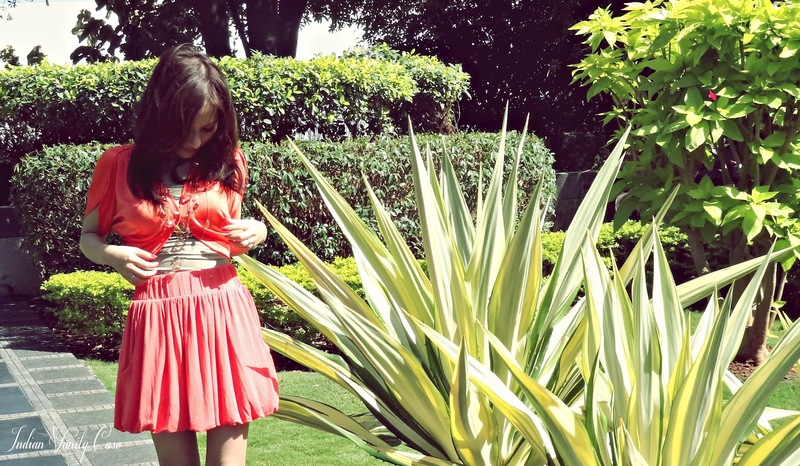 Lovely outfit :) :D Fanta girl! You look sooo cute in just about anything, Cynthia! You remind me of Jeannie from the 1960s show "I Dream Of Jeannie" in this outfit! I have a jacket the exact same orange. I loved the color and got it. Your ensemble looks great. Never woukd have guessed you fixed it up. You mix and match clothes so well. Great style. u look so cute...i totally understand why tanveer from ATB said u looked like a doll...i would totally want to make/buy a barbie like u...seriously!!! Tangerine Tango! Have you seen the line at Sephora?